In an antibacterial age, fermentation is quickly becoming a lost art. Edible Alchemy is here to reclaim it as an energy-efficient food preservation technique which has deep roots in our cultural histories. We are captivated and inspired by the way fermented foods engage our senses and enhance whole food eating. 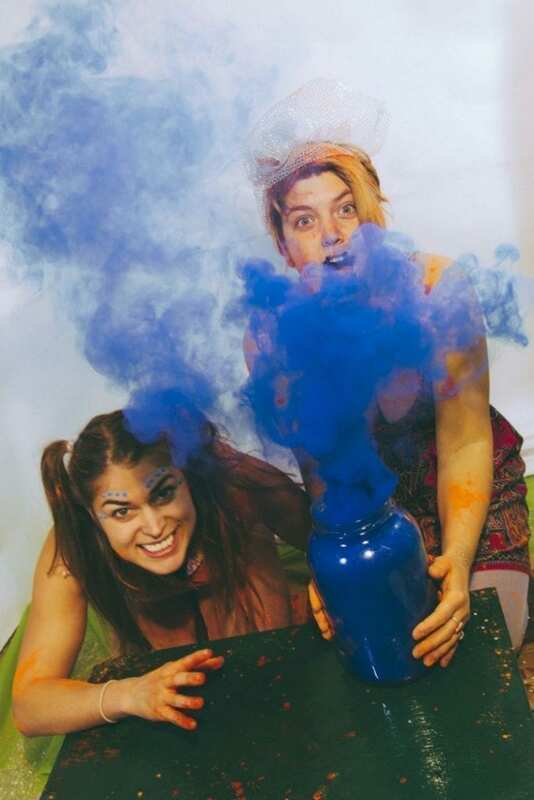 In the winter of 2012, Alexis and Natalie hatched the idea of Edible Alchemy in their hometown of Winnepeg, Manitoba Canada. 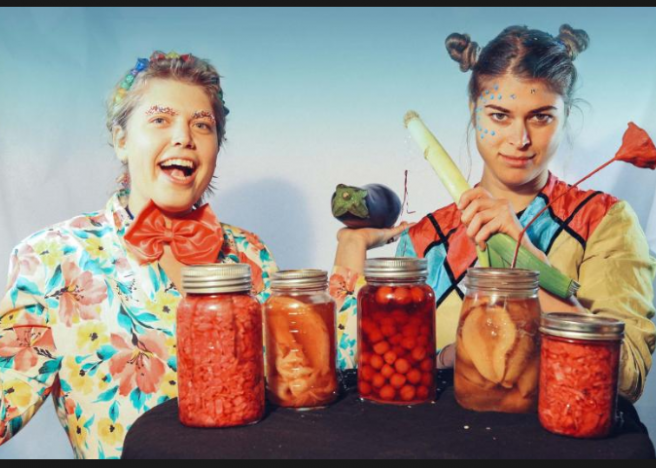 The project aims to encourage conversations, experiments and a greater understanding about the microbes that make fermented foods so special. Both of us have been collecting various bacterial cultures in and along our individual global travels, inventing new recipes and experimenting endlessly. Our enthusiasm and desire to share the wondrous world of fermentation has brought us to classrooms, festivals, restaurant kitchens, farmer’s markets, urban gardens, rooftops, and various creative spaces around the globe. We offer interactive workshops, talks, tours, coaching and trainings, Probiotic Pop-Ups and other unique educational events about this microbial world. We also believe in reducing food waste while supporting local food production. 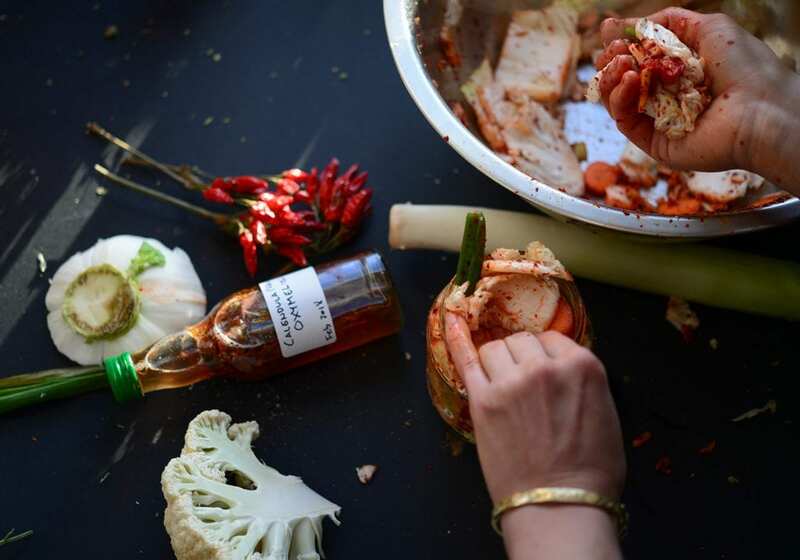 Edible Alchemy uses the principles of fermentation in creative ways to adapt to shifting supplies and changing seasons, making one-of-a-kind products for one-of-a-kind experiences. Fermentation is just one tool in a basket of food skills that help reduce environmental impact and promote a holistic understanding of how microbes influence the world around us. Our journey with fermentation has been, just like bacteria and yeasts, ever changing, forming, proliferating and expanding. We both graduated with a Bachelors in International Development. Culture is our passion and on discovering fermented foods, we realized it all goes hand in hand. Every culture in the world has something that is fermented. There has not been a found culture where fermentation is not used at all. If any culture did exist without fermented foods, it is highly likely to be the Western culture, which has become largely out of touch with our microbial world and has leaned heavily on processed, packaged, pasteurized and fast food lifestyles. In 2014 Alexis took the philosophy of Edible Alchemy and many microbial pets to Berlin to open up the first Probiotic Bacteria Bar. Her goal: to discover the great excitement and curiosity of bacteria, yeast and mold in Europe. Both of us continue to experiment and educate globally and in our own homes whether urban or rural and on our travels. Yes, we do travel with our microbial ‘pets’. And Yes, sometimes things do bubble over and fizz in our bags! When we launched Edible Alchemy, there were many visions for what it could become. Overall, our mission to engage with people about fermentation, wherever we can, turned us into ‘culture dealers’, ‘bacteria baristas’, workshop facilitators, edutainers (educational entertainers) and has even lead to the development of our online fermentation course to spread the bacterial knowledge worldwide. This online academy allows you to access the world of fermentation through video tutorials, PDFs and creative recipes on your own time in the comfort of your own home. Once signed up for a course, you will see that more recipes and skills will be added to the curriculum so your fermentation skills can proliferate and develop. Join our online community of alchemists from around the world! Edible Alchemy CoLaboratory is the umbrella of all of our active social platforms that empower members to share knowledge and feedback with us and one another. The aim: to promote healthy lifestyles, food skills and creative experimentation through fermentation and community sharing. We would love to have you apart of our community! Sign up for our newsletters, contribute a recipe, join a workshop, take an online course or check out our Instagram!